If I were forced to choose a favorite style of footwear, it would probably be a pointed-toe flat. They're the most versatile in my opinion and I feel instantly more put-together in them even if I'm wearing scrubby jeans or cut-offs. The only major downside is that I wear through them scarily quickly from all the walking I do in cities. The toes get the most obvious wear and then suddenly my pointy-toe flats are not so pointy-toed. A good flat to me has to have a few things – 1) show a little amount of toe cleavage, 2) have a tiny bit of a heel and a thick enough sole so you don't feel like you can feel the ground through them, 3) be juust the right amount of pointy (some are too round and some can look like weapons), and 4) obviously be comfortable enough to handle all the walking I do. It is surprisingly difficult to find flats that fit all the criteria. When I first saw these fun floral flats, I thought they looked very promising, so in the cart they went. And I love them. They're definitely made for a narrow foot though, so I had to size up. In searching for similar options, I really didn't find very much. There are animal prints aplenty but florals are more unusual. But here are my findings in case you also extol the pointy-toe flat like I do (and want some florals in your life). -This looks like a nice option with a slim toe. It's also cut similarly to a pair of Chloes flats I've long admired. -I like this pair for the tiniest bit of heel, and the lace material seems like it'll be more comfortable than a harder leather. -A sportier version of most of my criteria. -The most wallet-friendly version I could find that still looks well-made and has a great shape. I'm hoping I can keep this pair pointy longer than its predecessors (may they rest in peace). Wow LOVE those. I agree it's so hard to find a good comfortable pointy flat. Also these pictures are gorgeous. Your shoes look so pretty! I love pointed toe flats as well! Though I have a hard time finding a pair that's comfortable; for whatever reason I never find a style that fits well AND looks flattering on my feet. Those flats are just enchanting! I WANT THESE. They are gorgeous. Love these flats! Yes, my last shoes on earth would also have to be pointy toe flats. Lovely flats! 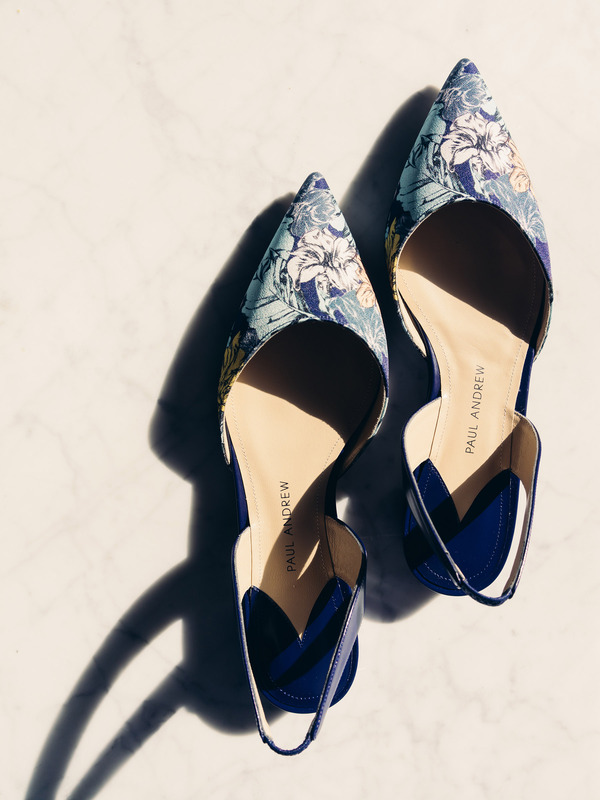 Pointed flats are the best. I am very picky about the pointed shoes I will wear though. Because I have very long feet, a sharp pointy toe can make them look too big. But round flats are too soft and girlish. This season I've been really into pairing floral prints, like a smaller watercolor floral pattern on my shoes with a large graphic floral pattern on my outfit. Alice, when you wear the brand Everlane what size do you usually wear? (specifically to tanks, like how do their sizes run and what can you say about their XXS if anything. also, love your blog everything you wear is so beautiful!! I typically wear XS. In some styles I could wear XXS but I prefer things slightly looser and I have wider shoulders. Fantastic articles is post by you in this blog. You give a nice thing. Thank you for such a nice article. Every word of this blog helps me to give detail to me.